Ov er 250 spectators braved the cold outside and ventured to The Centre Ice Rink at the Delaware State Fair only to sit in a cold ice arena and take in a hockey game. The game pitted members of the Dover Fraternal Order of Police (F.O.P.) against the Dover Air Force Base Eagles in a match-up that raised money for the Concerns of Police Survivors Organization (C.O.P.S.). The Dover F.O.P. team was comprised of five officers from the Dover Police Department and retirees, police officers, and federal agents from the Southern Delaware area. The DAFB team consisted of members from the 436th and 512th Airlift Wings, respectively. 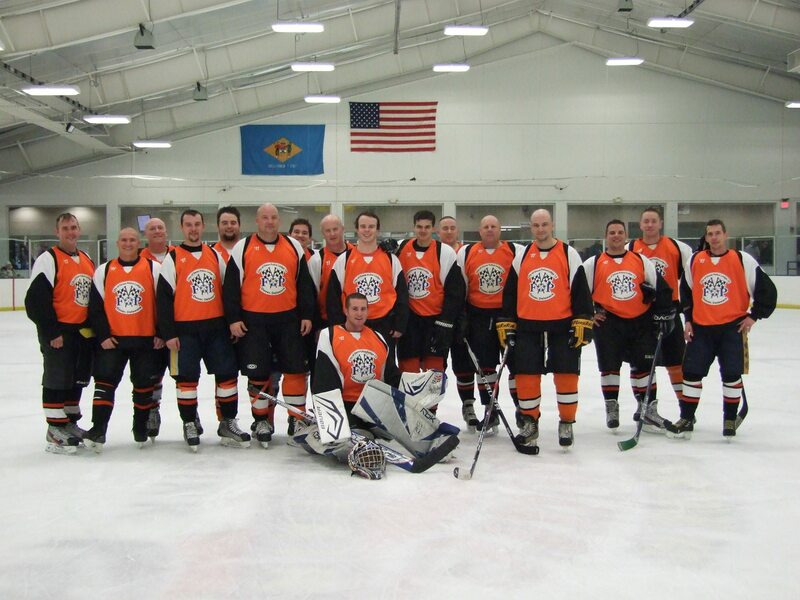 Both teams took the ice with intentions of raising money for a worthy cause, but it quickly turned into a competitive and entertaining match. 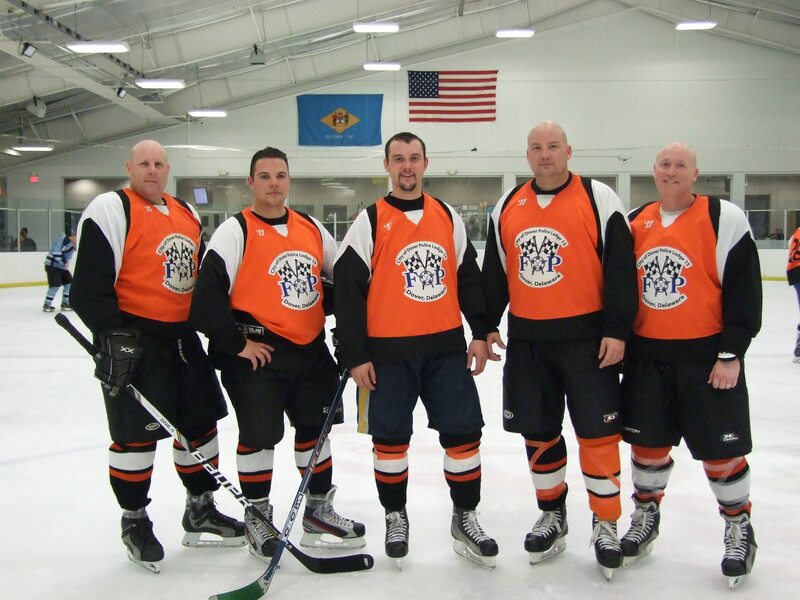 After 60 minutes of battle, it was the the Dover Fraternal Order of Police team who took the win by a score of 11-8. 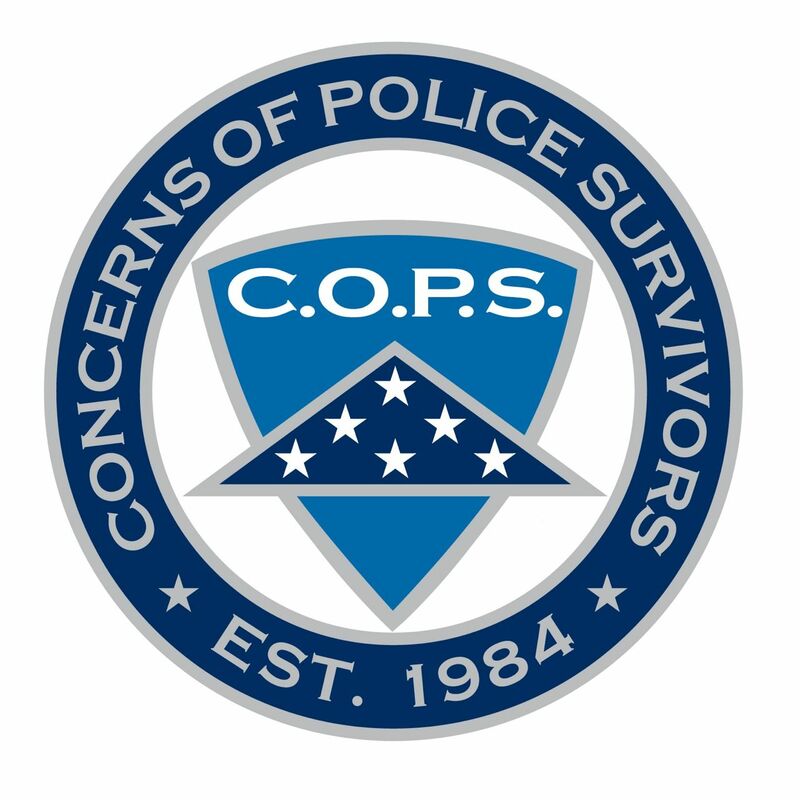 More importantly, the teams raised $1,000.00 for the Concerns of Police Survivors Organization. Dover Police Officers/F.O.P. Team members (Left to Right) MCpl. David Gist, Cpl. Mark Hoffman, Pfc. Chris Peer, MCpl. Harvey Jaksch, Cpl. Brian Allen.